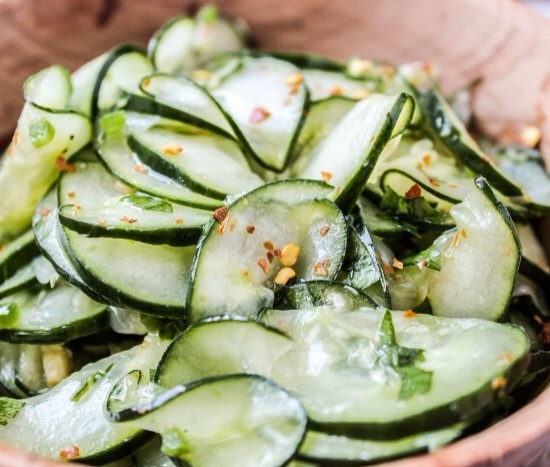 When we made plans for a cookout with friends last weekend to celebrate Christian’s birthday, I knew I had to find a cucumber salad. It’s one of his favorites. I never make it. Another one of his favorites, cilantro. The recipe below was a no brainer. And it was an instant hit. Head on over to her blog to read how to make it! My only modification was to double the recipe. I had ten mouths to feed, and this produced enough for everyone. In party celebration mode, I forgot to take photos. Good thing Pinterest is filled with them! Another great summer salad for our weekly rotation!